Mesothelioma claims (also called Asbestos claims) are known as the lawsuits filed in favor of someone that has been diagnosed with mesothelioma on account of them being exposed to asbestos. The claim that is filed for mesothelioma is against the party that is being held responsible for the victim’s exposure to this incombustible material. The defendants of the mesothelioma claims may be a government organization, an employer, a manufacturer, a company for professional asbestos removal or any other party that neglected to take the proper precautions when exposing one to the harmful effects of asbestos. What Can The Claims Do? It’s been reported that nearly 600,000 claims of mesothelioma due to asbestos exposure have been filed, just within the United States. These mesothelioma claims may be filed by the victim that sustained the exposure, or by the loved ones of a victim, only in the event that the exposure that lead to mesothelioma has taken their life. A claim can help the victim, or the family of a deceased victim, receive compensation for the loss they sustained including expenses for medical care, loss of earning potential or income, permanent disability, or psychological suffering. When there is an injury sustained due to the exposure of asbestos, there are two main types of claims that can be filed. The first claim is known as the personal injury claim, in which the individual that fell victim to the asbestos exposure files a claim after they have been diagnosed with mesothelioma. The second type of claim, the wrongful death claim, is to be filed by the family member of an individual that was exposed to asbestos and has lost their life as a result. Specific rights that are involved with these claims will differ depending on the state of residency. In other cases, there are other options for working the claim including veteran’s benefits, worker’s compensation, litigation and a bankruptcy trust. Based on the results of the exposure, the claim will differ for each victim. What To Consider About The Claim? When you are thinking about filing a claim for mesothelioma due to asbestos exposure, there are some important things that you will need to consider. The first thing that needs to be understood about one of these claims is the statute of limitations that will apply to the filing of the claim. Each state might have a different statute of limitations that will restrict the time that a victim will have to file their claim for mesothelioma due to asbestos exposure. Typically, the time on the statute of limitations will commence as soon as the person is exposed to the asbestos. However, since it’s possible for mesothelioma to remain asymptomatic and dormant for many years, the statute of limitations might start as soon as the victim is diagnosed with mesothelioma, rather than based on time of exposure. The statue of limitations for this type of claim could depend on many leading factors, therefore it becomes important to learn about the laws that are applicable within the state you reside. In order to win your case and be successful with your mesothelioma claim, it’s important that you are able to provide evidence of the exact source in which you were exposed to the asbestos, who is responsible for your exposure, and the damages that were sustained as a result of the asbestos exposure. An experienced and trained legal expert for mesothelioma claims will be able to help determine all of these factors and develop a strong, evidence based case that can help maximize and protect the rights of the victim. How Can Asbestos Lawyers Help? 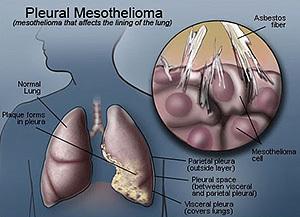 A mesothelioma lawyer can visit with the victim to talk about the liability that is present in mesothelioma cases. By using experience from prior cases, a mesothelioma lawyer can generally predict of likely it is for a mesothelioma case to be successful. 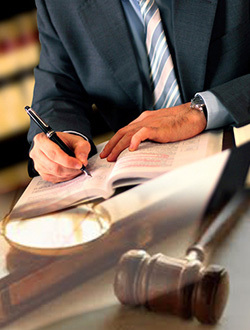 The best lawyers will have the right legal connections and knowledge that can pressure the reluctant parties into accepting the results of the case. Many of the lawyers that work with mesothelioma claims due to asbestos exposure are able to enable collection for their client without needing to take the case to court. In many cases, those that have been diagnosed with mesothelioma due to the exposure of asbestos are able to recover from all damages sustained including the lost wages and medical bills with the help of an asbestos lawsuit or mesothelioma claim. Manufacturers and employers of products that contain asbestos may be held liable for any injuries that are sustained, especially when they are fully aware of all risks that are associated with the exposure they permitted or caused. Contacting a professional mesothelioma lawyer is generally the best step to take to learn about the legal rights of the victim and what options are available for making a claim. What Is The Mesothelioma Fund? Since there have been a great deal of claims filed for mesothelioma in the United States alone, the government started considering what’s known as the “asbestos bankruptcy fund”. With this fund, those that fell victim to mesothelioma due to asbestos exposure would no longer be able to legally file a claim for mesothelioma. Instead the victims would have the ability to receive compensation of the losses they sustained through a fund, if they are able to meet the specific requirements. Many critics of the fund had worried that a great number of victims would not be able to receive the compensation they need in order to cover losses from their injury with the passing of this law. Under the existing law, it’s possible for those victims to have the right to file a claim for mesothelioma in order to get the compensation that they need for their damages sustained. This all falls into the hands of those careless individuals that failed to prevent the victim from being exposed to asbestos. To learn more about the rights of the victim and the claims that can be filed, it’s important to seek the knowledge of a trained, professional asbestos and mesothelioma lawyer.